International students are integral members of the Northwestern Michigan College campus community. We are grateful to our international students for bringing a wealth of global and cultural experiences which adds to NMC’s already diverse student body and contributes to our overall mission of campus-wide internationalization. 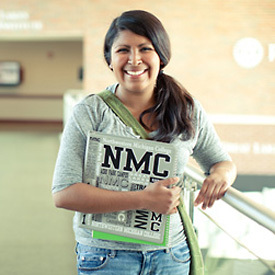 NMC has a long history of welcoming international students and we hope you are next! *Please note that, due to Federal Regulations, the Maritime Academy programs (Maritime Deck Officer, Maritime Engineering Officer, and Maritime Power Plant Facilities Officer) and the Unmanned Aerial Vehicle (UAV or "drone") program are not available for international students. Must be shown in United States Dollars (USD). Attestations or affidavits stating only that a sponsor can meet the expenses. As a speaker of English as a second language you will need to submit official test score results from your TOEFL/IELTS/TOEIC examination. For fall semester (August to December) admission, submit all application materials on or before July 1. For spring semester (January to May) admission, submit all application materials on or before November 1. We recommend you retain a copy of all your application materials for your visa interview. If you will be applying to live on campus in our Residence Halls or Campus Apartments (must be 21 years or older), be sure to complete all necessary application forms as early as possible to guarantee placement. Visit the Housing section of our website to learn more and to apply. For more information about sending and receiving application materials please see the Sending & Receiving Documents page. All questions regarding the international student application can be directed to Mr. Jason Smith (+1-231-995-1082 or jasmith@nmc.edu).